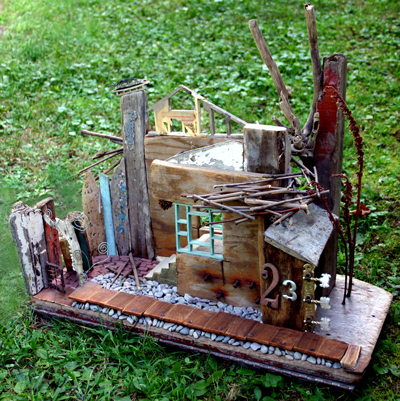 Live & Silent Auction Items | I-Park Foundation, Inc.
Jud Bergeron is a Bay Area sculptor residing in San Francisco, his sculpture has been exhibited throughout North America with a focus on New York and San Francisco. Bergeron works in myriad styles and materials but generally gravitates towards permanent materials such as bronze, stainless steel and mild steel. He has been awarded public art commissions in a number of cities around the country and his sculpture has been in museum shows and is included in many important private collections. 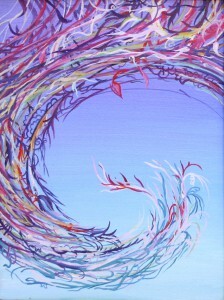 Artist Patricia Canelake’s works have been exhibited in numerous solo and group exhibitions at various venues in the country. 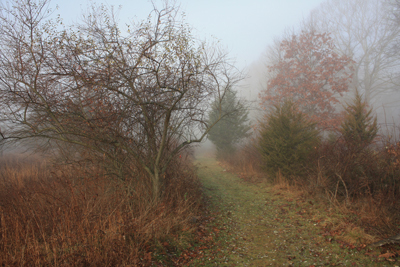 She has also been awarded several grants and awards including the MCAD/McKnight Foundation Fellowship for Visual Arts, Jerome Foundation Travel and Study Grant, and residencies at the Ragdale Foundation, Sitka Center for Art & Ecology, Headlands Center for the Arts, MacDowell Foundation, Yaddo Foundation, and I-Park. Her work is featured in countless private collections in New York, Germany, Washington, DC, Minnesota, Oregon, and Canada. Award-winning artist Marina Tsesarskaya is a graduate of Kiev Academy of Fine Arts, Ukraine. Interested in the ways in which experience, experiment, and other art forms shape a work, Tsesarskaya seeks to explore the process by which the past is surfacing into the present and complementing it as well as investigating the physical and psychological relationships among and between the characters and viewers. Her works invite the viewer to read fragments of a larger narrative by suggesting the context implicit in each image and, by connecting all of the prints, to form a tale. In such a way, she creates a discourse open to multiple readings thereby allowing the viewer to search and find his/her own meaning, based on the most universal human themes via her own personal experience. Artist Michael Rogovsky has been in numerous solo and group exhibitions in New York, Boston, Beverly Hills, Philadelphia, and Provincetown. His work is included in the permanent collections of the Stedman Art Gallery at Rutgers University, University of Maryland and Provincetown Art Association and Museum as well as in private collections in the United States and Canada. 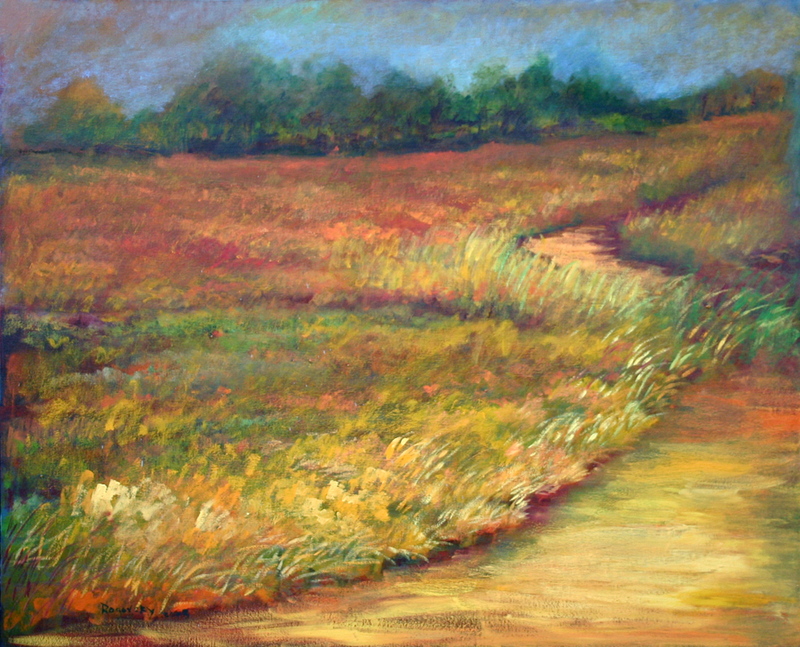 He was commissioned to create murals in a number of venues including a 30’ long mural entitled “Sunset” and a 5’ x 9’ mural “Morning Light” for Butler Hospital in Providence R.I. His paintings are included in Lois Griffel’s book, “Painting the Impressionist Landscape,” in an article in “American Artist Magazine,” and in the German magazine “Euros 16”. 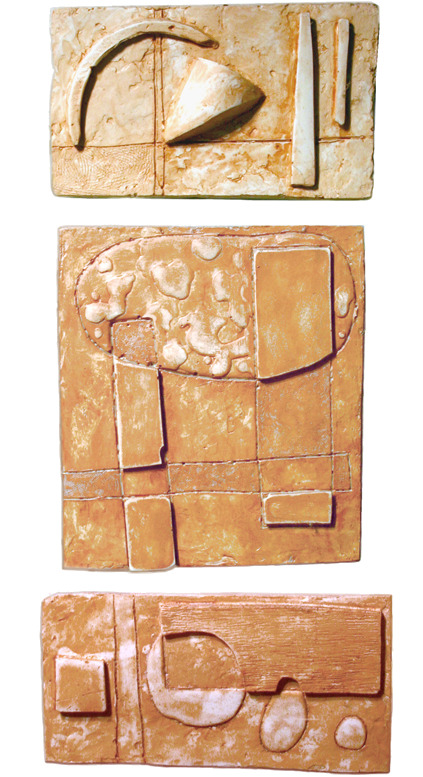 Born in Northern California in 1952, Ramona Kennon currently maintains a studio in her home in Martinez, CA. While Kennon does not limit herself to the genre, she is actively involved in plein air painting. She has been represented by some of the finest galleries in the Western United States, and is an active member of Oil Painters of America, Sedona Art Center, and Save Mt. Diablo. 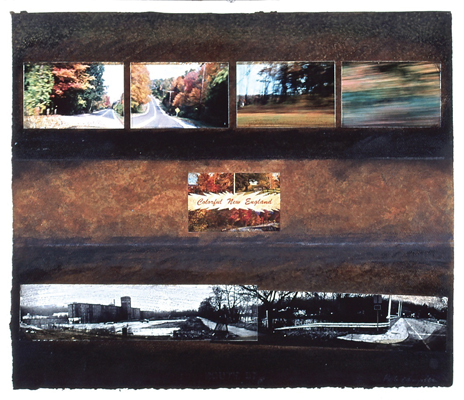 Connecticut artist Mark Patnode has been the recipient of numerous fellowships, residencies, and grants. 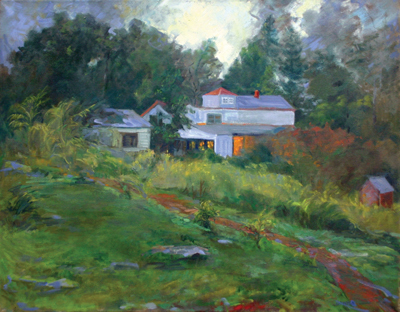 His works have been featured nationally and internationally in galleries and museums including The White House, National Mall, National Palace of Culture, Bulgaria, Neuberger Museum, Wadsworth Atheneum Gallery at the Connecticut Convention Center, and the Lyman Allyn Art Museum and is housed in several private and permanent collections worldwide including The Smithsonian Institution and has been featured in American Artist magazine. Patnode has held numerous honours, has been awarded a number of commissions and is an active member of the artistic community as a panelist, presenter, instructor, and member of several organizations. Having earned degrees in both art and geology at Skidmore College, Anna Kaye creates realistic drawings and paintings of the natural world. She continued her education at Yale’s prestigious Norfolk program in printmaking, painting, drawing, and photography. She earned her Masters of Fine Arts degree at Washington University in St. Louis where she was awarded the Laura and William Jens Scholarship, teaching assistantships, and an Instructor on Record position. 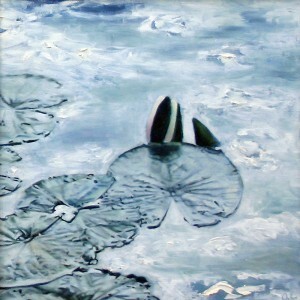 Kaye’s artwork is included in both international and national collections. 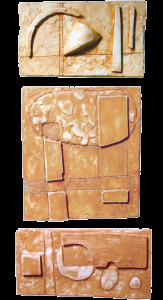 She worked as a Professor of Drawing at Metro State University and is represented by Sandra Phillips Gallery. Betsy McManus studied figure drawing and welding in the early 1960s, and later attended the Academie Julien and the Academie des Beaux-Arts in Paris, where she studied sculpture. She also studied color and composition with Harry Holtzman at his home in Lyme, Conn. After studying decorative painting at Isabel O’Neil’s school in New York, McManus opened a decorative painting studio, first in Stonington, CT, and later in Essex, CT, where she specialized in custom-painted furniture and commission work in private homes. 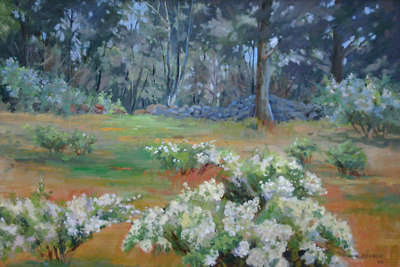 After closing the studio in 1996, she began concentrating on painting and studied at the Lyme Art Association with George and Marcia Phillips and at the Lyme Academy with Diane Aeschliman and Dean Keller. 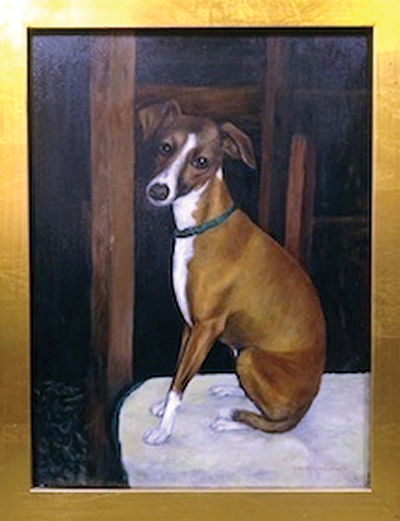 Her paintings have been exhibited in New York, Chester, Essex, Old Lyme, and Stonington, CT and are held in private collections in California, Connecticut, New Jersey, New York, Ohio and Washington. Artist dj whelan is the survivor of nomadic hippie parents that traveled extensively throughout the U.S. during the sixties and seventies. After 42 residences in 31 years, she landed on the west coast and currently splits her time between a flat in Berkeley and a cabin in Joshua Tree. Her family, childhood and itchy feet greatly inform the work she was destined to make. All forms of creativity were strongly encouraged, but collage, assemblage, construction and environmental art have always been her primary means of self-expression, along with driving, music and literary embellishment. 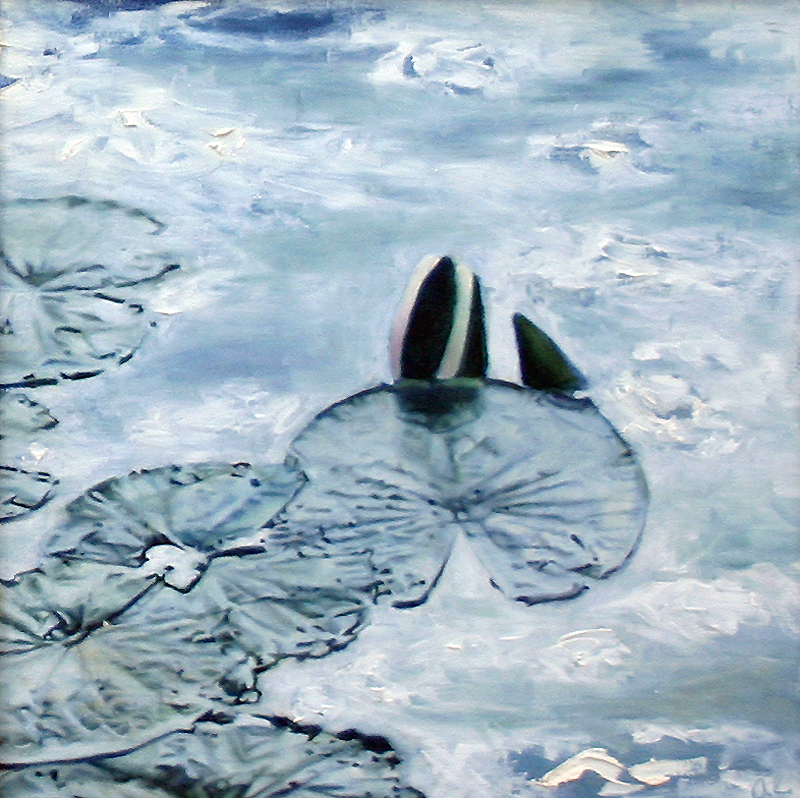 Her work illustrates an inclination towards the layering of life’s tiny yet significant details. An alla prima plein air painter, Jill Peckelun is, as Wayne Art Center’s Plein Air Jurist Sara Linda Poly noted, “a colorist with a distinctive style that sets her apart.” Peckelun grew up on a farm in Lebanon County, PA and received a Bachelor of Arts from Albright College in Reading. She continued her studies in Allentown at local art schools and took private painting classes with John N. Booth. 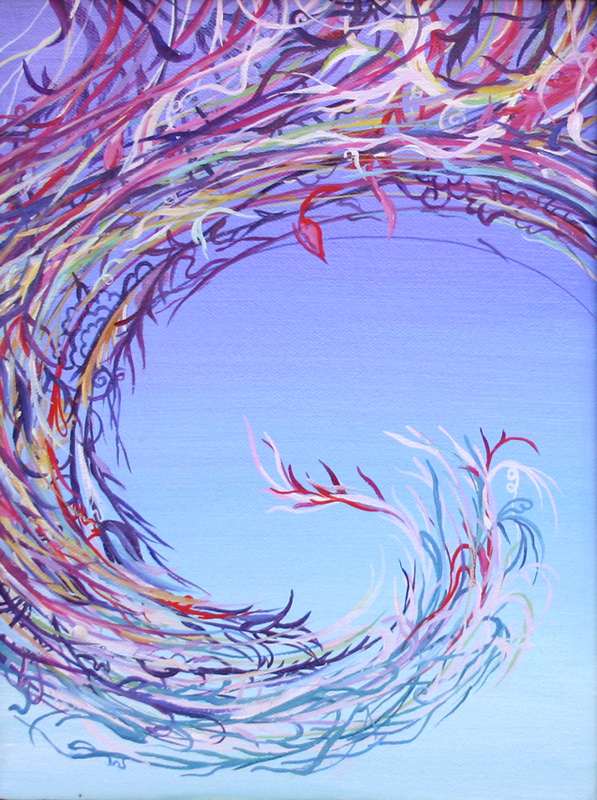 Peckelun has won numerous regional, national, and international awards in juried fine art exhibitions including the prestigious American Women Artists National Juried Competition Show and a signature member status in the International Society of Acrylic Painters. Simultaneously hovering between serenity and chaos, Ketta Ioannidou’s paintings portray movement and the interaction of forms within a space as a starting point, yet this subject matter is often an excuse to explore the physicality of paint itself. A graduate of the School of Visual Arts, NY and Central Saint Martins College of Art and Design, London, England, Ioannidou has held several solo exhibitions in Cyprus and New York and has been in group exhibitions in the U.S., Cyprus, Japan, Berlin, Egypt, and Italy. She has also been awarded grants and residencies within the tri-state area. Bob Chaplin moved to New York from England in 1986 before settling in northeast Connecticut in 1989. While in England, he lectured at many art colleges and Universities and represented England in a 5-nation exhibition in Stavanger, Norway, where he became an artist-in-residence in the Lofoten Islands. Since moving to the states, he has taught at UCONN and the Hartford Art School, University of Hartford, where he co-curated “The Edge of Town” at the Joseloff Gallery in 1996, and has lectured at the Yale Center for British Art, New Haven. He has had over 40 solo shows in New York, Minneapolis, England, Holland, and Norway and has been included in group shows in Chicago, Hartford, New Haven, New York, Germany, England, and Italy. 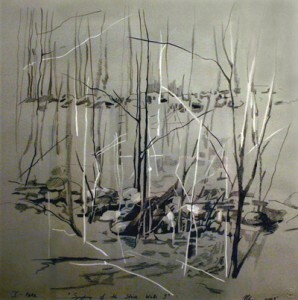 He has also been awarded a number of residencies and commissions. His art works and limited edition books are included in many public collections. English artist Michael Fairfax has worked as a sculptor and public artist since 1980. Working in and with his natural surroundings and the materials it presents to him, he creates a visual coherence with the environment of sculptural trails. He has worked throughout the British Isles, working for numerous arts organizations, county councils, borough councils, and district councils — some of his works still remain while others have nestled themselves back into the ground. He recently purchased a 10-acre woodland area nearby where he seeks “solace amongst the great oaks, the red soil and the pudding stone whilst the buzzards and ravens wheel above me”. 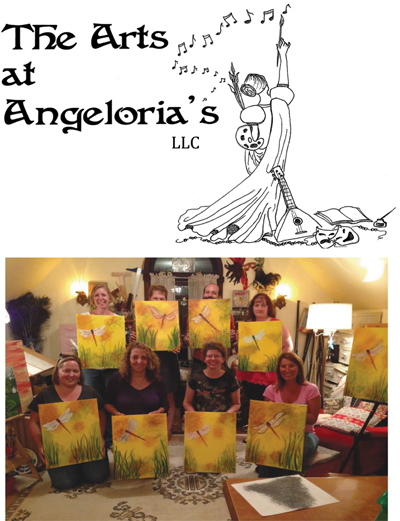 Lori Holm, The Arts at Angeloria’s, LLC owner and lead artist, relocated to Connecticut from the Napa Valley several years ago and found her niche in New England. Lori can be found either in the gardens or in the studios where she is either creating art and/or music, teaching art to others, designed many logos and posters, designing costumes and sets for various theatrical productions, or learning lines or music for various theatrical ventures. She also has a talent for photography, her photos having been featured on Lite 100.5 WRCS and in greeting card collections. She is a vocalist and percussionist in The Damn Hippies and one-half of the folk duo, The Blue-Footed Boobies. Artist, Author of Children of Light, dowser, animal whisperer and retired international dressage judge and cabaret singer Jan Conant is here with us tonight and is offering a pet portrait, 12” x 16” minimum, drawing, watercolor, or oil, unframed … the only additional parameters are that the more you pay, the more choices you have! 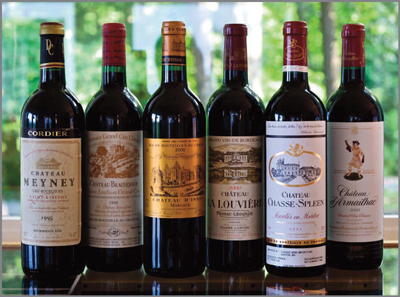 A selection of six bottles of Bordeaux wines from choice vintages from the last two decades. Perfectly cellared, these bottles are from some of the most sought after chateau in the region. Three can be drunk now. Three can be further cellared until 2025 (*) and 2040 (**). 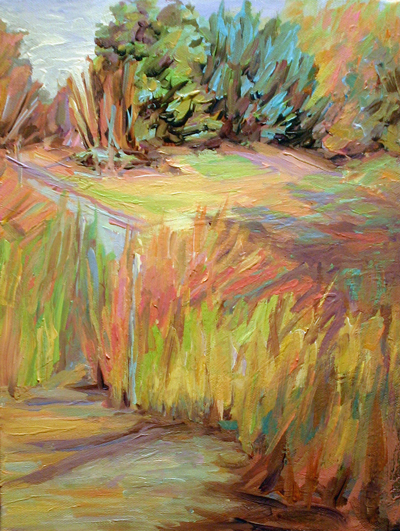 Painter, art educator and musician Jeanean Songco Martin has been landscape and figurative painter for thirty years. 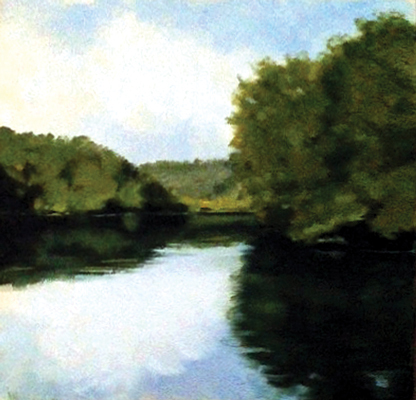 She has taught at a variety of colleges, institutions, and art centers and has conducted plein-air workshops in Maryland, Virginia, West Virginia, Pennsylvania, New Mexico, Georgia, and South Carolina as well as in Ireland, England, France, and Germany. She is also an active participant in the arts community with portrait, life drawing and plein air groups and a member of the Oil Painters of America, Portrait Society of America, Maryland Federation of Art. Martin’s work has been exhibited at numerous galleries. 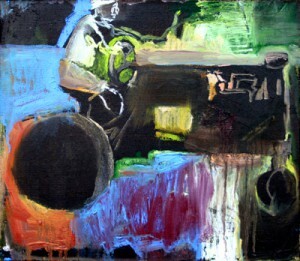 In addition to painting and teaching, Martin enjoys performing with The Martin Family Band. An interactive sculpture based on larger outdoor sculpture our guests will have just experienced on the Illuminations hike (Michael has asked if he might join you at the mic to talk about the piece himself — Michael has been in residence here at I-Park working on these two pieces (as well as a piece in the silent auction) for about two weeks. American artist Mundy Hepburn has been designing and creating glass sculptures filled with luminous electrified inert gases — the same technology used in neon signs – for over thirty years using a unique style of art known as “luminous glass” that he developed. These works combine technology with art creating a new breed of moving, living art. His work has been widely exhibited including a large permanent installation of 200 lighted sculptures in a parking garage in New Haven, CT, known as the Neon Garage and featured in several publications. Hepburn also creates static sculptures, including bowls, cups, flowers, and indoor and outdoor standing sculptures. You will have use of the entire facility! The house has six bedrooms and four bathrooms, and there are six artists’ studios in which you can use your imagination! I-Park is situated on a 450-acre nature preserve — you had a glimpse of this tonight! I-Park is a wonderful place for a corporate retreat, family reunion or intimate wedding — available select weekends for remainder of 2014 and in 2015!